As the Handbuilt Motorcycle Show 2016 gains momentum, BMW are poised to outpace the success of our last two shows. The tremendous swell of support shown by the motorcycling community, both locally and abroad, has turned this event into a destination for riders, enthusiasts, and fans from all over the world. Hailed by the American Motordrome Wall of Death Riders as the best in the country, their exhibition of custom builds and original artwork draws a diverse crowd ranging from the merely curious to die-hard fans. 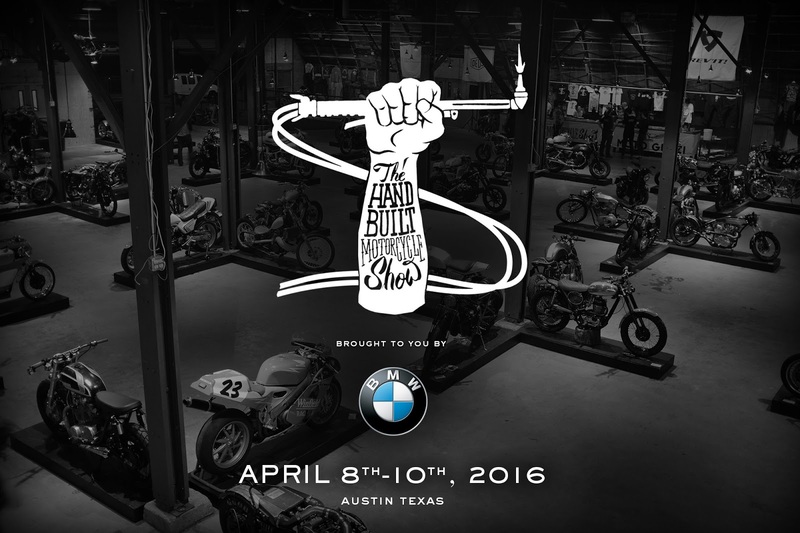 Last year's show featured custom motorcycles from the best builders in the business: Max Hazan, Roland Sands, Shinya Kimura, Walt Siegl, and so on. Arranged in a gallery-like setting alongside original artwork, the show celebrates the process of design and the satisfaction of creation inherent in the craft. Please join them as they seek to expose all who wander in to the rich culture of the motorcycling community.